The Cameron Highlands, which is one of the country’s most extensive hill stations, has long been one of the most renowned places to travel to in Malaysia. The breezy and cool highland haven is also an agricultural hub of sorts, most well-known for strawberries, grapefruit and tea plantations, in Malaysia. As a result, we offer a variety of tour packages bringing you a taste of the highlands’ freshest produce as well as relaxing in one of the coolest places in Malaysia, which almost always stays below 25 °C. This is an overland tour fo Peninsular of Malaysia. You will experience an unforgettable journey in your own privacy. This programme is easily expanded to give yourself more time at each destination. This is a popular tour and it can be enjoyed by all travellers. Pangkor Island & Cameron Highlands is a great combination. After the tour in Cameron Highlands visiting tea plantation and the flower garden, we head to the idyllic setting at Pangkor Island or another smaller Island where a deluxe resort is located. This is a nice break before returning to Kuala Lumpur. A complete tour of the west coast. 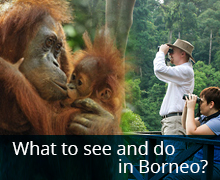 This is the best developed region and it has probably the best attractions in Malaysia. Malacca & Penang are both UNESCO listed heritage cities. Langkawi is the gem here for it`s laid back lifestyle tropical island. Then you have Kuala Lumpur & Cameron HIghlands to add to the list. All in all a great holiday tour. A complete overland tour fo Peninsular Malaysia. From the west coast to the idyllic setting of the east coast, you will experience an unforgettable journey in your own privacy. This programme is easily expanded to give yourself more time at each destination. This is a popular tour and it can be enjoyed by all travellers.